OKLAHOMA CITY – The Women’s Premier Soccer League has revealed the 2019 conference alignment, consisting of an all-time high 119 clubs competing in the league’s 22nd season to become the champion of the world’s largest women’s soccer league. The regular season begins in early May with individual club schedules to be released within the coming weeks. The four region names remain the same – West, Central, South and East. However, the composition of each varies significantly from the 2018 season with the Central and East Regions seeing the biggest changes. The WPSL, through expansion and realignment, continues to focus upon significantly reducing travel during the regular season to allow clubs to lower its expenses and reinvest in their organizations. In 2019, clubs in 16 of the 20 conferences/divisions will travel no further than six hours for their longest road trip during the regular season. The Central Region features a newly created Mountain Conference, consisting of six clubs (four expansion) from Colorado and Utah. The 11 clubs from Texas and Oklahoma are now two divisions within a conference instead of separate conferences. There will also be a new Central Region Champion in 2019, for Chicago Red Stars Reserves is part of three former Central clubs that have moved to the East Region. Also, the Mid-Atlantic Division now has two divisions, consisting of clubs from Pennsylvania, Delaware, Maryland and Virginia. The West Region sees the addition of the San Diego and Desert Divisions in the Pac South Conference. The San Diego division consists solely of San Diego-based clubs, reducing road match one-way travel times by more than five hours. The South Region has the most similarity from 2018 within its alignment. The Carolinas Conference, with two additional expansion clubs, now has two divisions, and Alabama FC has moved from the Gulf Conference to the Southeast Conference. For a full breakdown of the region and conference alignments, visit wpslsoccer.com. 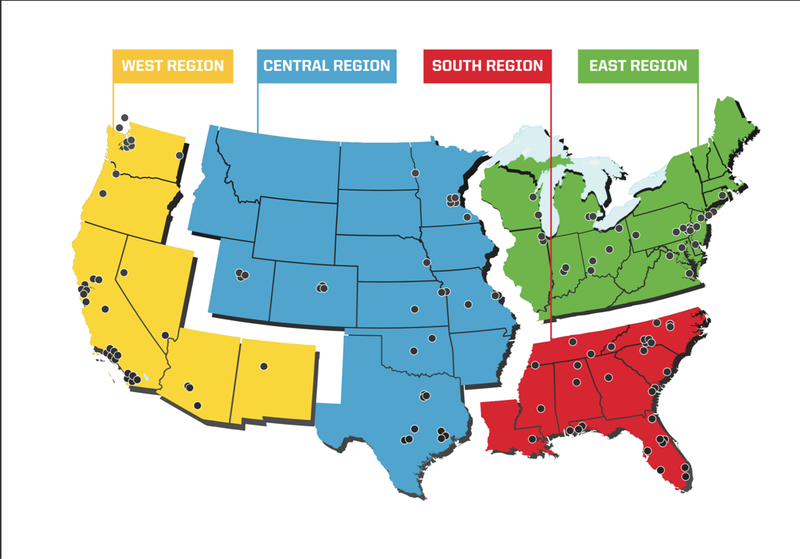 The WPSL is in its 22nd season and is the largest women’s soccer league in the world with 119 clubs from coast-to-coast. WPSL rosters feature elite collegiate, post-collegiate, international and standout prep student-athletes. Many of the United States’ most accomplished women’s players have played in the WPSL, including household names such as Alex Morgan, Abby Wambach, Megan Rapinoe, Julie Foudy and Brandi Chastain.